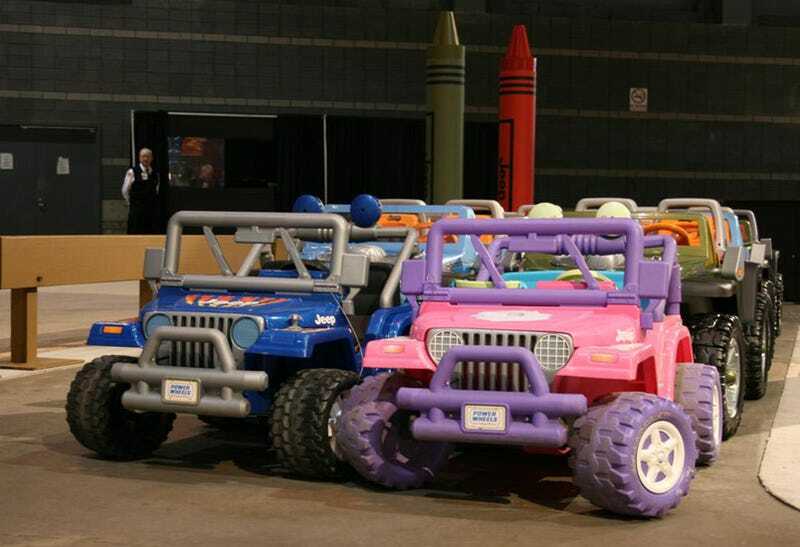 Why: This one is largely irrelevant and extremely esoteric, but these little PowerWheels Jeeps stationed in the "Jeep Kid Zone" are the perfect way to save you from the Chryslerpocalypse. You probably haven't read it anywhere, but a large majority of auto writers aren't exactly confident Cerberus will be able to get Chrysler to any point where it will survive in the long run. Why not run away from the end of Chrysler's days in an all-electric, super green, low carbon footprinted PowerWheels Jeep. Hey, at least they're viable products as opposed to something like the Jeep EV. Head back to our list of the Apocalypse Vehicles Of The Chicago Auto Show.